This Saturday, 2 July, the second benefit concert organized by Cuban pianist Eralys Fernadez for her project to ‘Send a Piano to Cuba’ will be held in London. Eralys will be performing herself alongside other talented young musicians from Cuba and around the world. 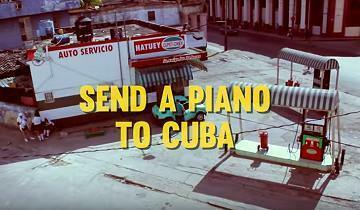 The money raised will go towards the purchase of a grand piano in London, to be sent to the Amadeo Roldán music school in Havana, where Eralys and hundreds of Cuban students have received free training. Despite being among the country’s most prestigious music conservatories, the school is in urgent need of a new grand piano. More details of the concert and artists performing can be found here: billetto.co.uk/piano2cuba. You may also donate via the project’s crowd-funding campaign: GoFundMe.com/PianoToCuba.